Product prices and availability are accurate as of 2019-04-23 07:28:48 UTC and are subject to change. Any price and availability information displayed on http://www.amazon.com/ at the time of purchase will apply to the purchase of this product. Mn&Sue has been given a registered trademark and Amazon Brand Registry. It is our honor to provide the best quality bags with the most reasonable price and excellent experience for all of our customers. We always believe that details determine success or failure. It is absolutely worthy to own a product of Mn&Sue. We have a very high demand for quality and craft and we always check the bag before we ship to make our customers satisfaction. PLEASE NOTE: If you have any problem with the bag, just let us know,we will try our best to solve it for you. Please allow the smell in the course of packing and shipping. Open it and put it in a ventilated environment for few days, the smell will disappear. 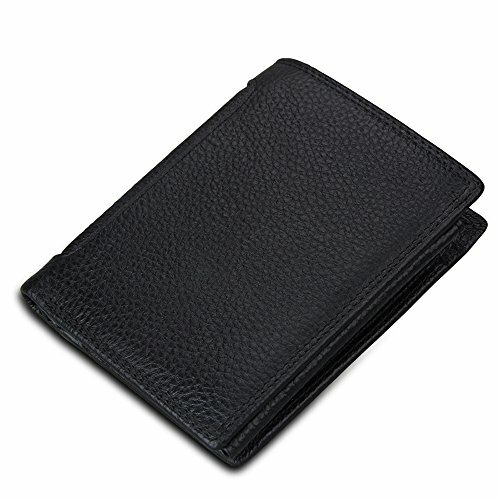 Made with the 100% genuine leather. Quality you can feel. RFID BLOCKING technology for your safety and protection. Tested and approved. Peace of mind knowing your data is safe. To protect your personal information from stealing. Multi-card-bit design. 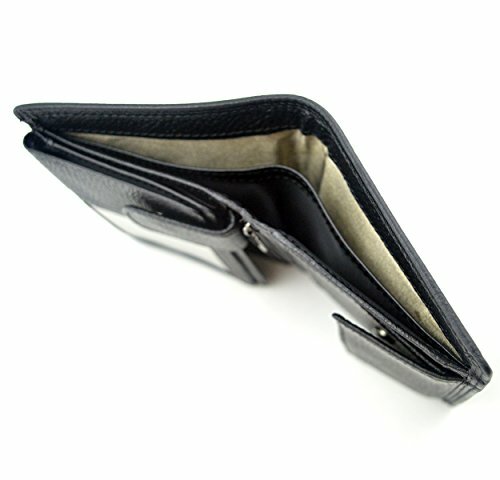 The wallet appearance concise and polite. 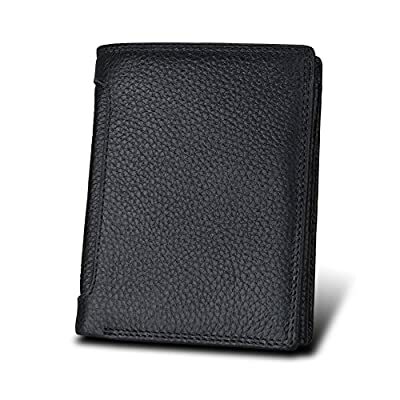 Internal structure: 3*window ID, 10*card slots and 2* full length pockets put cash. 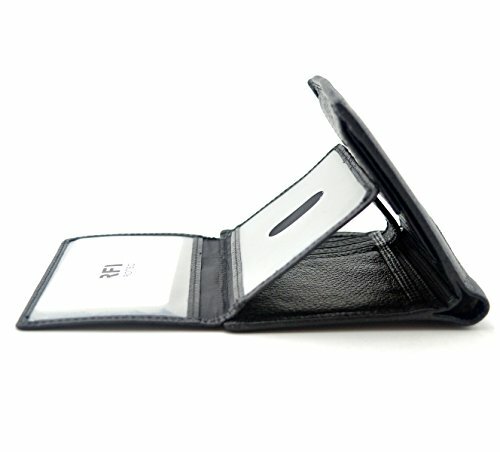 1* button pocket for your coin, condom or sim card. 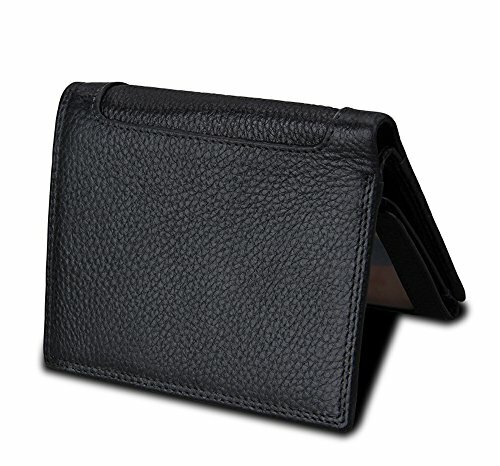 Scientific arrangement makes it easy to carry what you need Suit perfect for all occasion, business, casual, daily. Best gift idea for men, teen boy. Approximate Dimensions: 8.26(L) x 4.72" (W) x 1" (H) , Please accept 1"-1.5" error.